The authorization from the central bank will permit UBA and SGC banks and their respective partners Nexttel and YUP Cameroun to offer the digital finance service. Two commercial banks operating in the country are set to enter the mobile money market already marked by the presence of three other competitors. The Governor of the Bank of Central African States (BEAC), Abbas Mahamat Tolli recently issued separate authorizations permitting United Bank for Africa (UBA) Cameroon and her partner Viettel Cameroon (operating as Nexttel) as well as Societe Generale Cameroun (SGC) and her partner YUP Cameroun to engage in mobile money activities. Both financial institutions have 12 months as from March 2018 to kick start operations, else they forfeit their licences. Officials of UBA as well as those of SGC are yet to make public when they will commence rendering the service to the population. According to BEAC’s decision; a copy of which was sent to Cameroon Tribune newsroom, the authorizations were granted to the financial institutions because their requests were well founded on the basis of promoting financial inclusion using mobile phones to the benefit of grassroots populations who do not own bank accounts. The central bank also cited the technical dispositions already taken by the bank which are considered as meeting with required standards. UBA and SGC are expected to obtain permission from the central bank should they in future intend to change the technical environment, functions and services of their mobile applications. In the meantime, Nexttel; a brand of Viettel Cameroon and YUP Cameroun are compelled to respectively carry the names and logos of UBA and SGC in all their publicities. 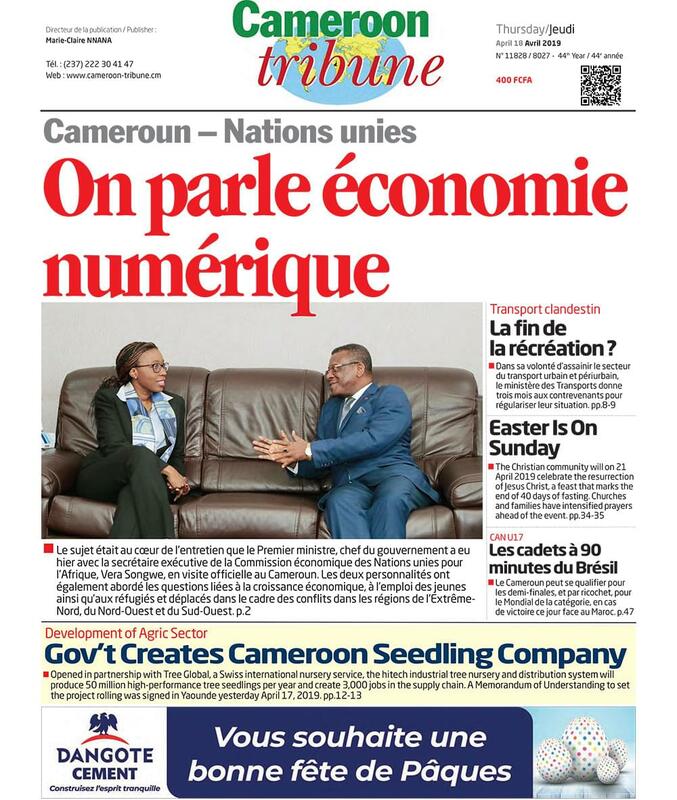 Beizia Fointama, Head of Marketing & Corporate Communication for UBA Cameroon told Cameroon Tribune the purpose of the new product is to encourage people to use electronic money instead of physical cash transactions. “With this product, we are targeting all segment of people in the country and base on our strategy, we think many people will subscribe. The important thing here for us is not the number/volume, but the level of appreciation of the service to be offered by our platforms,” Fointama said. It should be noted that three mobile money services already operate in Cameroon after it was introduced in 2008 by Express Union. Afriland Frist Bank and BICEC later brought in MTN Mobile Money and Orange Money. Going by Media Intelligence’s track data on mobile money services in Cameroon, there are about 6.8 million mobile money subscribers and close to 1.5 million active users in Cameroon.